National Audio Company's announcement that it was running out of chrome type II high bias tape was kind of a shock. Who knew there was a limited supply? Apparently no one is manufacturing it anymore -- the wisdom of the market. Possibly unrelated, many of the electronic music netlabels I've been following stopped releasing new music, or offering cassettes, around the same time. 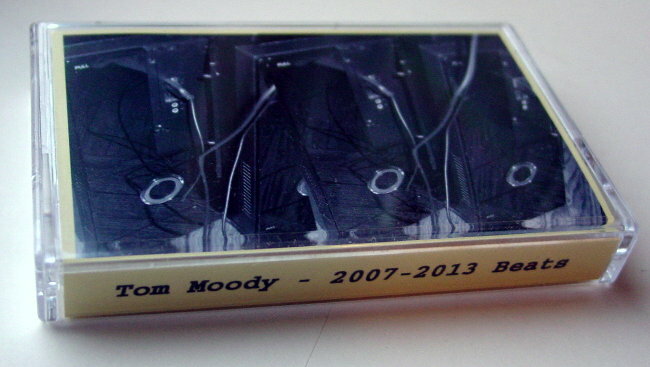 I haven't lost interest in the medium but given my own limited supply of chrome blanks, my days of producing one-sided cassettes with only ten songs are clearly over! 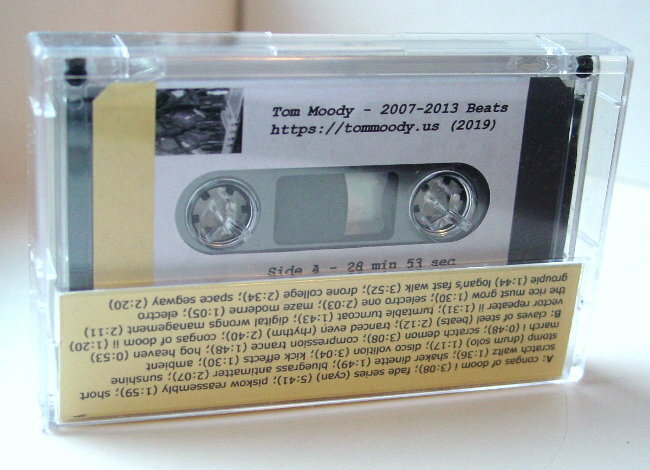 With this release I "maxed out" a two-sided, one hour tape with beats I made in 2007-2013 (before coming to Bandcamp). Some of these percussion tracks were incorporated into later songs. Equipment/software used were Elektron Octatrack, Vermona DRM1 mk ii, LinPlug RMV, NI Battery/Kontakt, Reaktor grooveboxes, and MIDI sequencing in Cubase. "SQP Beatslicer" is not shown on the "prototype" j-card depicted above; it has since been added to the card.